Gambling venues based in the Chinese city of Macau continue to struggle as revenues dipped for a twelfth month in a row. Last month, Macau’s casino industry generated 37% less earnings than in May 2014. Figures published by Macau’s Gaming Inspection and Coordination Bureau show that gambling revenues dropped to $2.5 billion last month. Despite May’s gloomy figures, market watchers believe that the economic slump has hit its bottom. Nevertheless, a total smoking ban could frustrate Macau’s casino industry even more. Last month’s drop marks the eighth double-digit decline in a row, plus the fourth straight drop of at least 30%. “The smoking ban is the only major risk that could deteriorate the situation. It may take a few months before the downtrend comes to an end”, a spokesperson for the Union Gaming Group commented. 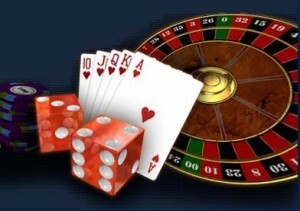 Market watchers believe that gambling revenues will pick up after the summer. China’s crackdown on corruption is affecting Macau’s casino market, while the weakening economy is another negative factor. It has resulted in less Chinese mainlanders and high-rollers visiting casinos in the former Portuguese colony. A number of new gambling resorts are expected to boost client numbers as casino companies believe that more supply will result in more demand.